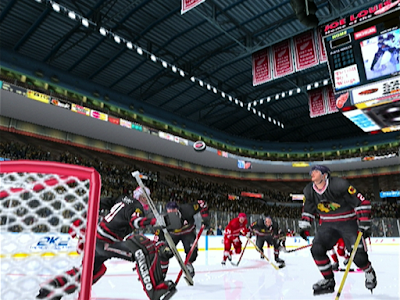 NHL 2K, along with its stablemates in the other sporting spheres (NBA 2K, MLB 2K and NFL 2K) garnered glittering reviews across the board. Published under the Sega Sports brand - a brand that Sega deemed strong enough to warrant a special edition black Sega Sports Dreamcast console - all of the 2K games represented what was considered to be the pinnacle of their respective sports in video game form back at the turn of the century. Graphics far above what could be achieved on competitor systems, true TV-style presentation, great play-by-play commentary and some of the best gameplay experiences around all made the 2K series critical and commercial successes. 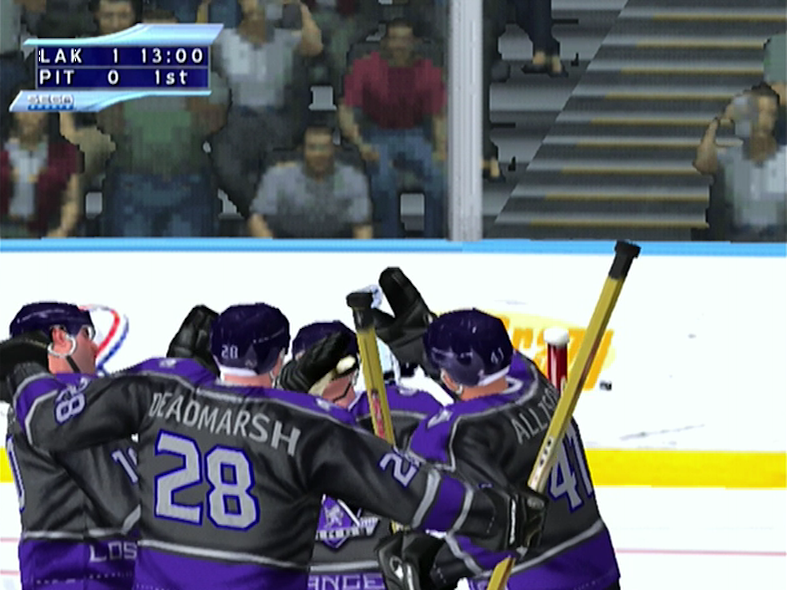 When NHL 2K first hit the Dreamcast it was lauded for these very things. It looked amazing for a start - far and away the most authentic looking sports game available at the time. What really struck me was just how much everything looked and felt like a real game you could easily be watching on TV. The way the players moved, the crowd reactions, the over-the-top commentary from the two-man team. It was superlative in pretty much every way. Off the ice the sheer number of franchises, arenas and numerous historical uniforms going back to the formation of the NHL itself give a feel for the level of detail and adoration for the sport the development team clearly had. 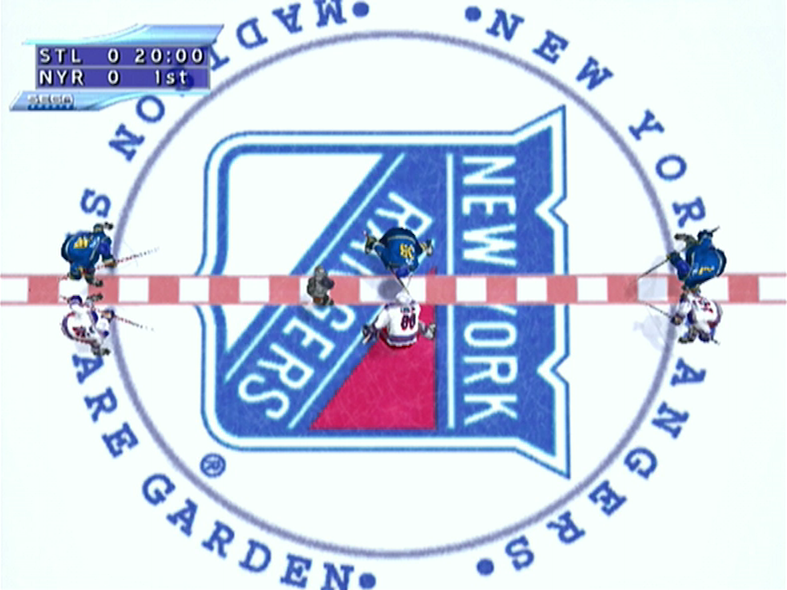 Black Box and Sega had literally taken everything that EA could do with its NHL series and gone one step further in pretty much every department. Probably a step too far in terms of goalie skill, but if anything the difficulty level only made it more satisfying when you did actually get the puck in the goal. For me, NHL 2K was the very best hockey game I'd ever seen on a console up until that point and while hockey isn't everyone's cup of tea I still think it holds up as one of the Dreamcast's best and over-looked games - especially in those territories where hockey ranks alongside basketball/NASCAR/extreme ironing in terms of popularity. 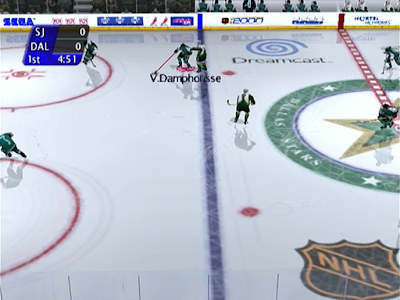 Unlike the other sports games released under the Sega Sports banner during the Dreamcast era, NHL didn't receive a 2K1 update. The reasons for this aren't really known, but ice hockey did return to the Dreamcast nearly two years later with NHL 2K2. 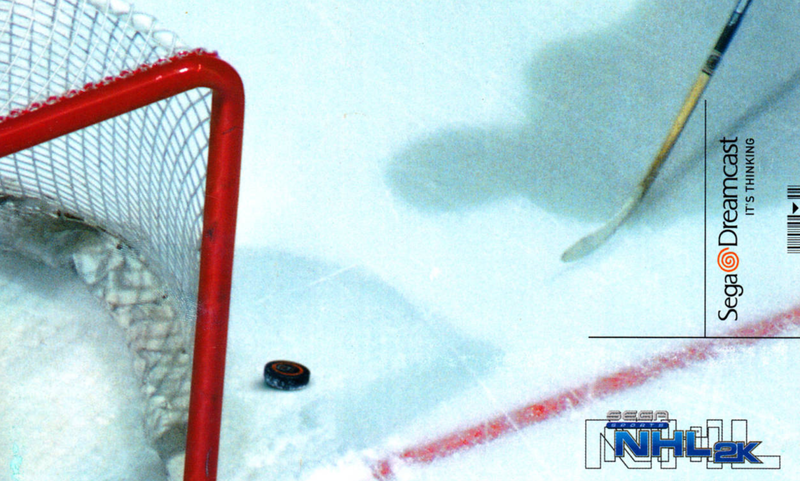 Developed by Treyarch, a studio now more well-known for the Call of Duty and Call of Duty: Black Ops series, NHL 2K2 is famous for being the very last game officially released for the Dreamcast in North America. Yes, on 24th February 2002 NHL 2K2 hit store shelves and heralded the end of new releases for the Dreamcast in American stores. This is quite a sobering thought when you consider that just over two years prior, on the 9th September 1999, the Dreamcast was only just launching on those shores. 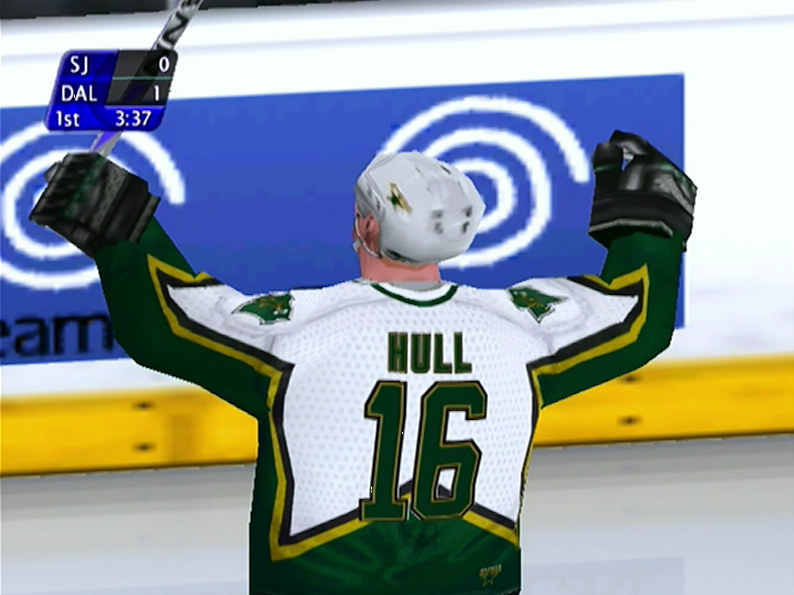 However, rather than dwell on the sadness of that realisation it is worth noting that NHL 2K2 took everything that was great about NHL 2K and improved upon it. The game wasn't released in Europe (possibly due to low sales of the first game) although Cannon Spike was released on or around 3rd May 2002 and was the last official PAL release as far as I can ascertain, so the Dreamcast was still pulling in some sales around that time. 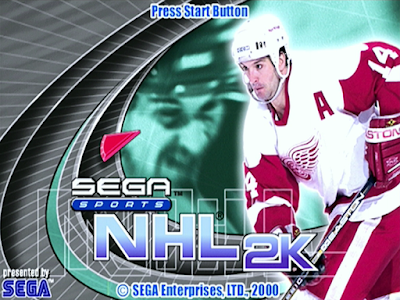 Whatever the reason for the lack of a PAL release, NHL 2K2 was certainly a fitting swan song for the Dreamcast in the US and once again wowed critics with its visuals, presentation, sound design and gameplay. 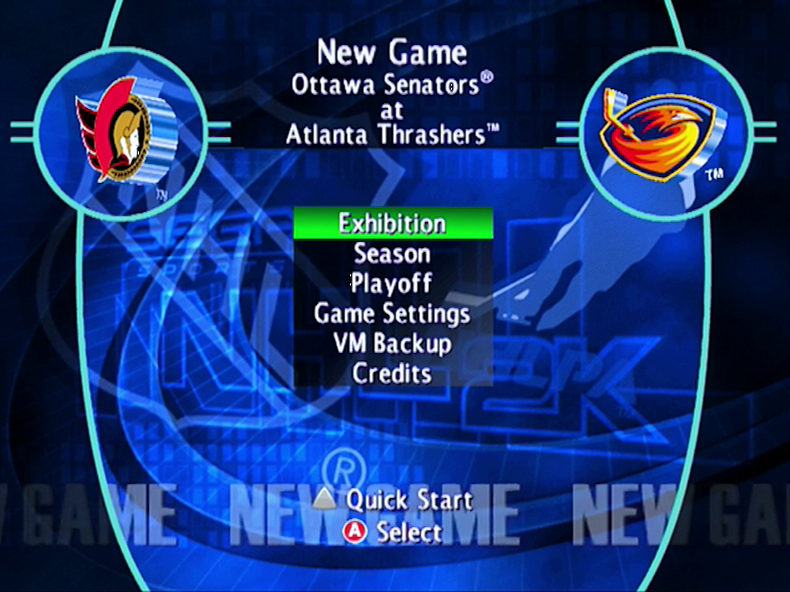 NHL 2K2 actually brought the franchise in line with the other 2K games in terms of menu layout, bringing in the familiar 'analogue cursor' seen in the others. Again, the number of teams and uniforms (both current and historic) was matched by the accurately modelled arenas. However, the presentation was dialled up another notch with the already amazing pre-game theatrics supplemented by some amazingly detailed stat-based commentary and star player profiles as the players came out onto the ice. Anyone who has played a modern EA Sports title of any denomination will know that this type of presentation is standard nowadays, but back in the early 2000s games just didn't have this level of presentation and that's why NHL 2K2 stands out. Even the transitions between replays and 'broadcast' gameplay features polygonal NHLPA and Sega Sports logos flying across the screen. Nothing new these days...but in 2002? Not a chance. 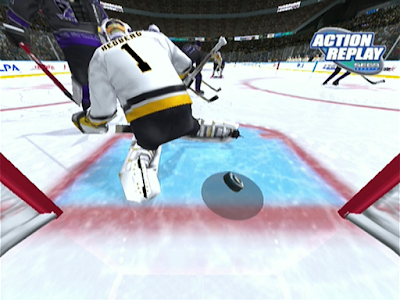 The gameplay in NHL 2K2 is largely the same as that in 2K - all of the dekes, slap shots, wrist shots, body checks and fights are there; along with some fantastically acrobatic goalies and other little incidental details that make you smile when you see them. Ice spray flicking up from players' blades as they turn sharply, camera flashes from the crowd, cutaways where the coaches scream at their players issuing orders...it's all here and it still looks surprisingly convincing. I'm not for one moment going to suggest that either NHL 2K or 2K2 are the best ice hockey games of all time, but at one point they were about as good as the sport got in digital form. 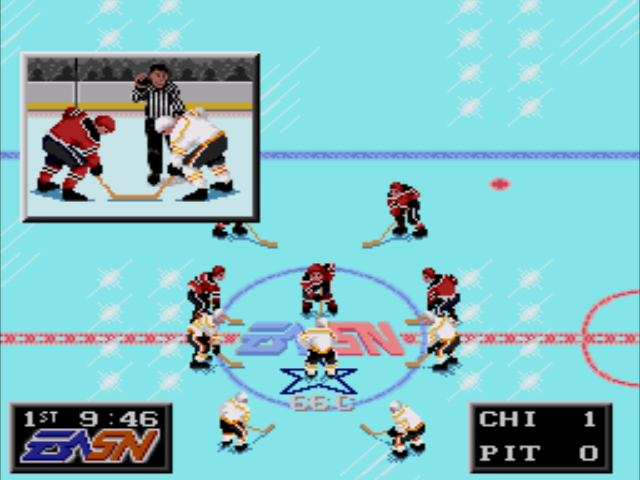 While Sega's output in terms of football/soccer games on the Dreamcast can best be described as passable, ice hockey fans really got a pair of true masterpieces (well, a trio if you count Sports Jam), and they still hold up today in this age of teraflops and 4K visuals. On current gen I've been wowed by the recent instalments of the NHL series from EA, but for me the true evolution of the sport on consoles lies with the first two entries in the 2K franchise. They had it all - visuals, gameplay, presentation. If the Dreamcast had lived on I'm pretty confident we'd have seen 2K3, 2K4 and maybe even 2K5 on the console. As it is, you can still play those on other systems (in a sense), and they were all pretty decent...but if they'd stayed on the Dreamcast then I'm sure they'd have retained the true magic of the coolest game on Earth. 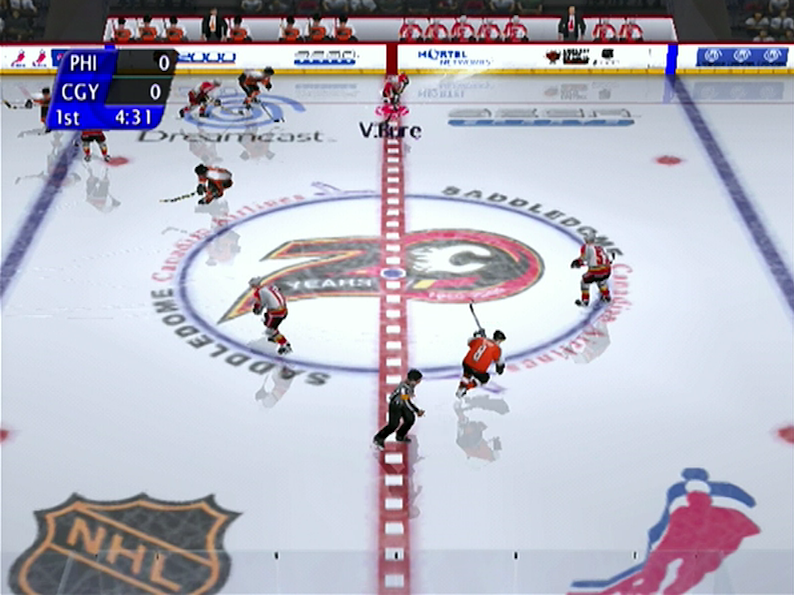 If you have even a passing interest in sports games, then you'd be doing yourself a disservice if you didn't pick up either NHL 2K or NHL 2K2 and give them a go. 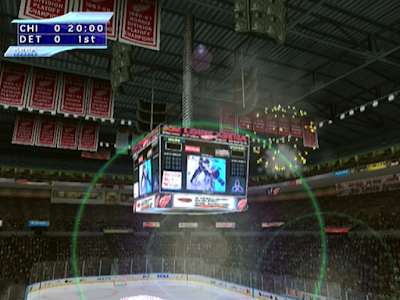 Black Box and Treyarch truly set the tone for the future of hockey games when they served up this power play of a series on Dreamcast. Nhl 2K2 was by far the most played title, both against my cousin (epic Anaheim vs Calgary clashes!) and in a friend's house (staying up till six o'clock in the morning for some tournaments). A lot of fond memories come to mind: getting some players back to the teams they left after free agency run amok (Jagr back to Pittsburgh, Hasek to Buffalo, Selanne to Anaheim), The Great One making one last attempt at the Cup, Konstantinov skating again... Saku Koivu and Peter Forsberg activated and ready to start. Mexico is not exactly a hotbed of hockey wisdom but we tried to stay updated! Thanks for all your comments guys. I'm by no means an expert when it comes to the NHL - very much an armchair/gaming fan of the sport. But yeah, the 2K series is definitely one of my favourite. I recently played both NHL 16 and 17 on the PS4 too, such awesome games.